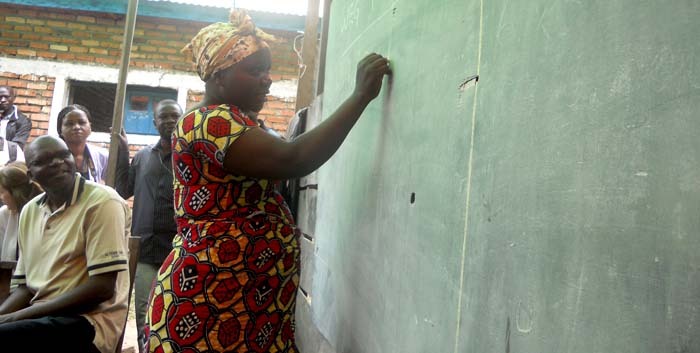 Ms. Rurayi Namuhindo, pictured above writing her name, is proud of her reading and writing skills. They are giving her a new lease on life, as she can now help her children with homework and use her newfound skills when selling her bread and soap. Ms. Namuhindo and others are just a few of the empowered women I met recently while in the Democratic Republic of the Congo (DRC). The people of the DRC have faced so many challenges, which are unfathomable to someone growing up in the developed world – years of conflict, occasional natural disasters, and poverty. Women play a critical role as agricultural producers, yet most of their work goes unrecognized. They lack access to land and other resources, limiting their ability to fully participate in the agricultural sector. Though women suffer among the highest rates of gender violence in the world, their attackers often go unpunished. In fact, attacked women can even be rejected by their families, and left to fend for themselves. 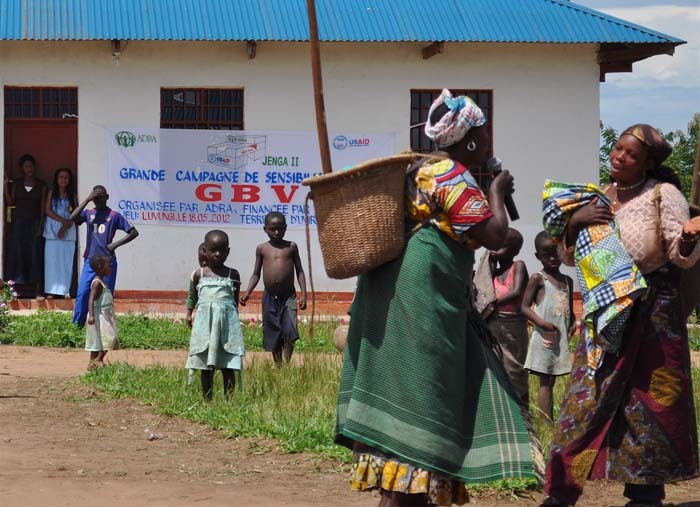 If the DRC can alter its behavior towards women, these women can stay in their communities. Just being able to stay put means they can increase production on their land, earn incomes, and put food on their families’ tables. Tackling gender inequities is key to resolving any food insecurity in the communities where we work. In my role as East, Central and Southern African Division Chief for the Office of Food for Peace, I have visited my fair share of countries in crisis. With a history of working in 150 countries over the last 60 years, Food for Peace has helped many countries recover from crises and thrive. And for the last several decades we have worked to tackle the root causes of chronic food insecurity in places like the DRC – through interventions to increase agricultural yields, develop new ways to earn an income, or empower women, for example. I came away from the DRC feeling an immense sense of accomplishment and hope in our work, particularly around elevating the role of women. Women Empowerment Groups are a critical aspect of some of our programs. These groups provide women with literacy, numeracy, and business skills training while helping them to start projects to generate income such as soap making, bread making, or breeding of small livestock. Intermittent evaluations of these programs tell us that we are having an impact, supporting the abundance of evidence that indicates that if the status of women is improved, then agricultural productivity will also increase, poverty will be reduced, and nutrition will improve. These skills elevated Ms. Namuhindo’s status at home and increased her role in decision making; she is now seen by her husband as a breadwinner and partner. The pride I sensed in her as she explained the life-changing effect on her left an indelible impression on me. Similarly the role-play dramas led by Gender Discussion Groups left me convinced that gender-sensitive activities are crucial to promoting change. Groups of men and women come together to discuss issues affecting their households and community, including alcoholism, domestic violence, treatment of boys as compared to girls, and division of household labor. The discussions are dynamic and animated, and would certainly be day-time Emmy contenders. “Who picked this topic?” I asked as I watched the first drama that portrayed a father marrying off his 14-year old daughter to make money for his alcohol addiction. “We did,” answered the community. Alcoholism affects the homes in many ways – financially, women carry an unfair work-burden, girls drop out of school and many marry at a young age. These messages, delivered through live dramas or other media, have attracted a large following. Surveys in Katanga and South Kivu found that nine out of 10 of those surveyed listened to the discussion. And six out of 10 of the people surveyed believe the drama contributed to a changed attitude and behavior. Needs remain vast across eastern DRC. But I came away from the trip with evidence that our approach is working, and that it will have long-lasting impacts on individuals, homes and communities.